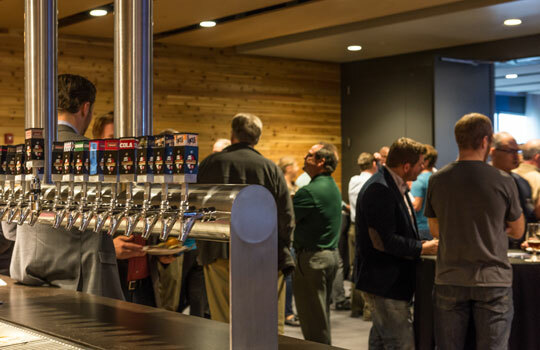 IPS Solar hosted another great networking event at Surly Brewery. 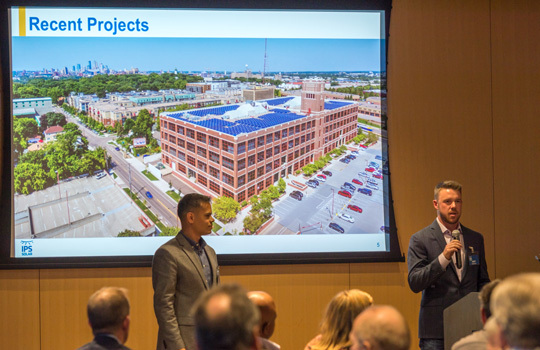 With over 70 in attendance our Chief Development Officer Eric Pasi and fellow sales team member Andy Stahlman presented on the benefits of solar in the commercial real estate space. Eric and Andy talked about building owner challenges and how to speak to each one of those while going going the growing benefits to commercial solar as well as how to secure solar financing. We had a great Q&A session afterward and many of those in attendance said they enjoyed the beer and food while networking with those in commercial real estate and energy. IPS Solar was very grateful to all that attended and committed to provide clean, affordable energy to their community. Contact us today if you’d like to be part of our next Surly event on February 22, 2018. This entry was posted in Commercial, Events, IPS Solar on November 7, 2017 by Kyle Wehnes.